Rachel's Oma (her grandmother) has two picture albums. In one the photographs show only happy times -- from after World War II, when she and her daughters had come to America. But the other album includes much sadder times from before -- when their life in Germany was destroyed by the Nazis' rise to power. }}For as long as Rachel can remember, Oma has closed the other album when she's gotten to the sad part. But today Oma will share it all. Today Rachel will hear about what her grandmother, her mother, and her aunts endured. And she'll see how the power of this Jewish family's love for one another gave them the strength to survive. 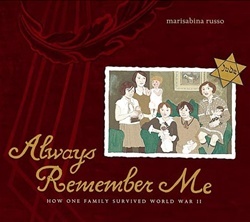 }}Marisabina Russo illuminates a difficult subject for young readers with great sensitivity. 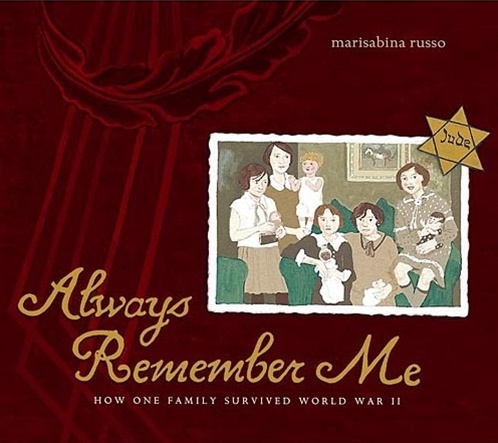 Based on the author's own family history, Always Remember Me is a heartbreaking -- and inspiring -- book sure to touch anyone who reads it.